Gene Douglas Thaxton, age 67, of Augusta, GA formerly of Union Point, GA died Wednesday, June 20, 2018 at Augusta University Medical Center. A native of Greene County he was born February 24, 1951 in Greensboro, GA to the late Bennie Lee Thaxton and Mary Callaway Thaxton. 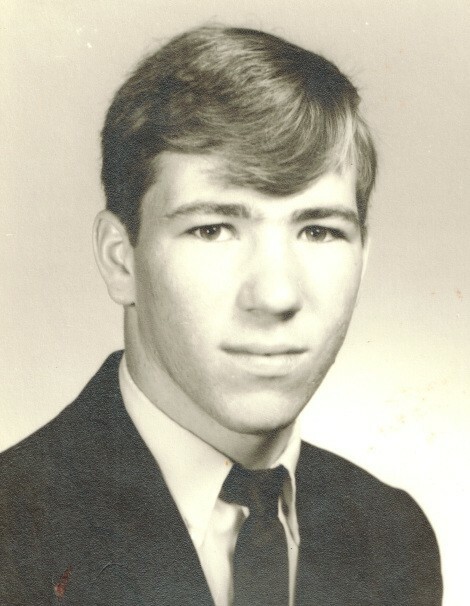 He attended school in Union Point, GA and graduated from Greene County High School in 1969. He entered the United States Army and proudly served his country while stationed in Germany. After his honorary discharge, he worked for Chipman Union as a machine fixer. His hobbies were fishing and watching baseball. He was a member of the First Baptist Church of Union Point. In addition to his sister, Janice Moon of Conyers, GA he is survived by family members, Amy Mayo of Conyers, GA; Jennie Moon and Brenda Moon of San Diego, CA, other relatives and friends. He was preceded in death by a brother, Gerald Thaxton. Funeral Services will be held Sunday, June 24, 2018 at 2:00 p.m. at the Callaway Chapel, 208 N. Rhodes Street, Union Point, GA 30669 with Rev. Marc Lhowe officiating. Interment will follow in the Greenlawn Cemetery, Rhodes Street, Union Point, GA 30669. Serving as pallbearers are Tommy Swann, Keith Branyan, Paul Jackson, Gene Lindsey, Chris Johnson and Mark Higdon. The family will receive friends Sunday afternoon from 1:00 p.m. until time for the service at Callaway Funeral Home in Union Point. The family request that any memorials be made to the First Baptist Church, 206 Thornton Street, Union Point, GA 30669. Callaway Funeral Home, 208 N. Rhodes Street, Union Point, GA, (706) 486-4138, is in charge of arrangements. Visit us at www.mccommonsfuneralhome.com to sign the online guest register.